Cook onion, ginger, fennel bulb and chilis in a large pan. Add in curry powder and cook for 2 minutes. Stir in lentils and vegetable stock and cook for 20 minutes. 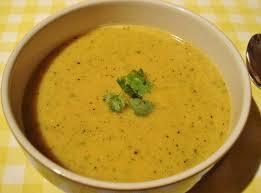 Serve in soup bowls and season with coriander.